HOA Foreclosure Archives | Florida Law Advisers, P.A. Florida is a judicial foreclosure state, that means a party seeking to foreclose a home must go to court and receive approval from a judge before a home is foreclosed. This includes not just banks, homeowners association foreclosure cases must also go through the court process before foreclosing on a home. Unfortunately, many HOA’s are very aggressive and will seek foreclosure if a homeowner fails to pay the HOA dues and assessments. If you are being threatened with a homeowners association foreclosure contact an HOA foreclosure defense law firm right away, there may be foreclosure defenses available to prevent the foreclosure. Under Florida Statute 720.3085, before a homeowners association foreclosure case can be filed the HOA must provide the homeowner with proper notice. Florida law requires the HOA to send notice to the homeowner of their intent to record a lien at least 45 days prior to recording the lien. Further, the notice must provide details of the amount owed and provide for an opportunity to pay the amount due prior to filing foreclosure. The notice must meet all the requirements outlined in the Statute. 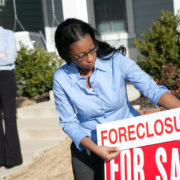 For information regarding a specific notice contact an HOA foreclosure defense attorney for legal advice. Additionally, Florida foreclosure law requires the HOA to send the homeowner notice of their intent to foreclose on the lien at least 45 days prior to filing for a homeowners association foreclosure. The notice of intent to foreclosure the lien is supposed to be sent after the HOA files their lien for the past due fees and assessments. 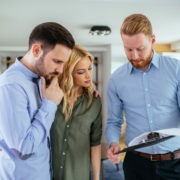 If the HOA does not send the homeowner both the notice of their intent to record a claim of lien and notice of intent to foreclosure on the lien they should not be entitled to foreclosure. Additionally, the HOA may be responsible for paying your legal fees if you win the case. Both notices are required to be sent by registered or certified mail with a return receipt. See Florida Statute 720.3085(4)(b). The notices must be sent to the address of the property they are intending to foreclose. If the property owners do not live in the home the HOA must send the notices to both the homeowner’s mailing address and the property address. It may not be just past due fees and assessments, a homeowners association foreclosure case can also seek interest and attorney’s fees. In most homeowners association foreclosure cases, the amount of attorney’s fees they charge will be far in excess of the amount of HOA dues owed. In fact, in some cases, the attorney’s fees are more than 3 times the amount of the past due HOA fees. On the other hand, if your foreclosure defense lawyer is successful in getting the homeowners association foreclosure case dismissed the HOA may be held responsible for reimbursing you for your attorney’s fees. See Florida Statute 57.105. 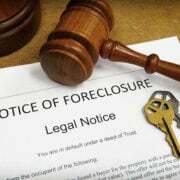 If you are being threatened with a homeowners association foreclosure contact Florida Law Advisers to speak with a HOA foreclosure defense lawyer. The HOA foreclosure defense attorneys at our firm have years of experience in these types of cases and will aggressively fight the HOA on your behalf. We accept many forms of payment and offer our HOA foreclosure defense clients the choice of either a low cost flat fee or low cost hourly fee. For more information or to schedule a free consultation with a HOA foreclosure defense lawyer call us today at 800 990 7763.